Launched in 2012, Bitfinex is one of the pioneers in providing professional platforms for crypto trading. It is one of the largest—by trading volume—digital asset spot trading platform for major cryptocurrencies like Bitcoin, Ethereum, and Ripple, among others. In addition, the exchange allows users to trade with up to 3.3x leverage through its peer-to-peer funding facility. 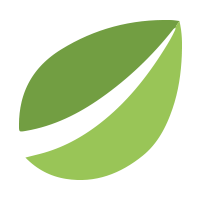 Bitfinex is a solid fixture in the Bitcoin exchange world. It is popular for its user-friendly interface and easy to use functions. What sets it apart from other crypto exchanges is the fact that there are plenty of customization options for its users. Add to that the tough security and everyone can enjoy hassle-free trading whenever they want to. The site is based in Hong Kong and has been present since 2012. Although based in Asia, the site focuses on the US market and US-based traders. Of course, this does not mean that traders from other countries cannot indulge in its services. Bitfinex welcomes traders from every part of the world. 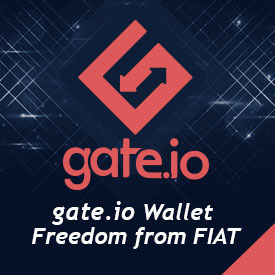 The number one highlight of the exchange is its ease of use. The interface is great. Users are offered quick options to buy or sell and at the same time place orders in a swift manner. All of the Bitfinex services are mobile-friendly. Apart from its desktop support, Android and iOS users can enjoy trading on the go as well. The mobile site has all of the features and functions of the desktop site, which means users can still make the most out of it. The registration process is fast and easy. Just enter the necessary information and provide the verification needed. There are two account types: individual and corporate. Keep in mind that the verification processes are different for both. This is required for future deposit and withdrawal requests. It acts a layer of security for users as well. Overall, all the registration steps can be done even by novice users. When it comes to visuals, Bitfinex does not disappoint. Everything is well-organized. The charts are easily accessible. The site displays real-time data. The site loads fast. There’s nothing for you to worry about here. Users can buy and sell right away. Place orders in an instant with the unique order function of the page. Bitfinex brings the most liquid order book. You can trade various coins like Bitcoin, Monero, Litecoin, Dash, and Ripple. There’s also margin trading, which allows up to 3.3x leverage trading. Gain access to the funding market and maximize all profit-making occasions presented to you. When it comes to security, the site protects users and all funds using modern technology. If you’re familiar with the trading fee structures of exchanges, you’ll find that Bitfinex follows a different model. It’s the maker who contributes liquidity to the exchange ecology. On the other hand, the taker is the one who pulls it away. Trading fees begin at 0.1% for the maker. Takers get a 0.2% fee. Traders are charged deposit and withdrawal fees. Thankfully, only wire transfers only require a minimal fee. Transfers cost 0.1% of the total amount. The minimum deposit transfer set is $20.